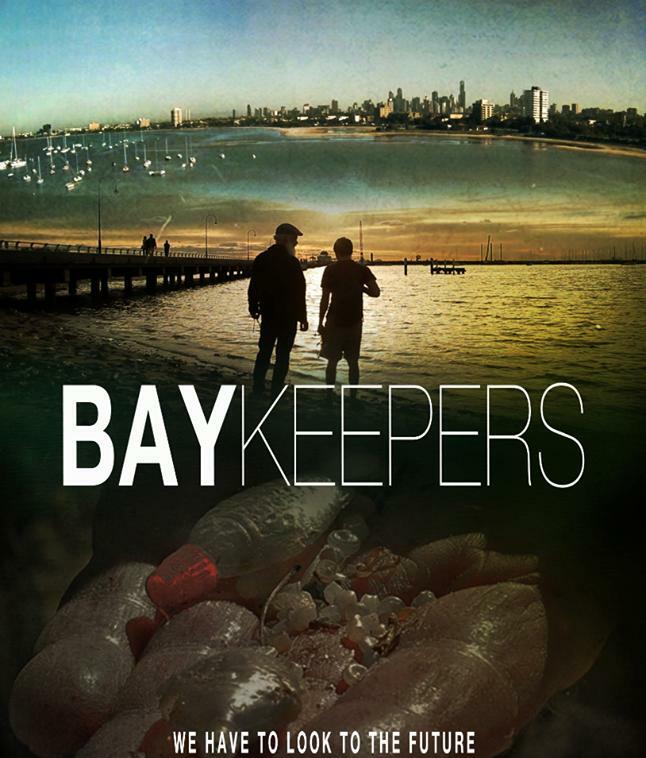 A shortfilm (26 mins) about Port Phillip Baykeeper Neil Blake finding the sands of his local beaches are turning into a kind of micro-plastic confetti & community action. After hearing about expansive amounts of plastic in every major ocean, Port Phillip Baykeeper Neil Blake discovers the sands of his local beaches are also insidiously turning into a kind of micro-plastic confetti. Inspired by aboriginal traditions, in his journey to measure how much plastics are threatening marine wildlife, Blake finds a community of ‘baykeepers’ tackling litter and plastic pollution. With his grandchildren and all the wild things that swim in mind, Blake sees that inaction is not an option. There are 18 picture cards of the most common litter items on the beaches of Port Phillip Bay. There are 6 time line cards relating to how long each of the 18 items of litter take to break down (if in fact they do break down). Match the picture to the time line and start a conversation! Who says you can't look good and be environmentally-conscious at the same time? 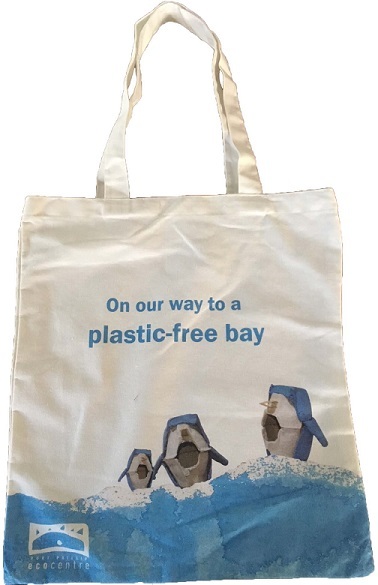 Next time you're on the go, carry one of our calico bags to show everyone that you're working towards being "on our way to a plastic-free bay". 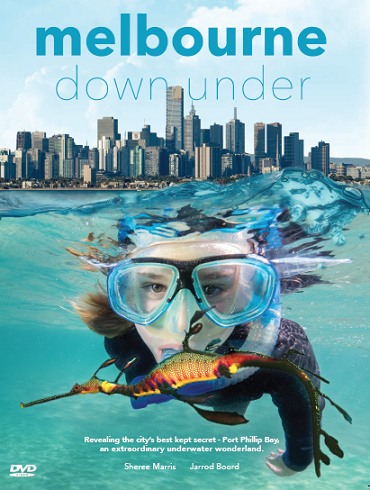 Revealing Melbourne’s best kept secret… a stunning marine environment that rivals tropical reefs in colour and diversity, showcased in a 208 page visual feast. From magical kelp forests, reefs that explode in a kaleidoscope of colours and dragons that sparkle like jewels. It is a surprising secret that few know. That’s why this book was created. Engaging text helps readers to discover more about this fascinating world. Within these pages you’ll discover the fascinating plants, animals and habitats that characterise this stunning underwater world. Plants that walk, animals that bloom. Creatures that breathe through their backs and those that light up like a starry night. 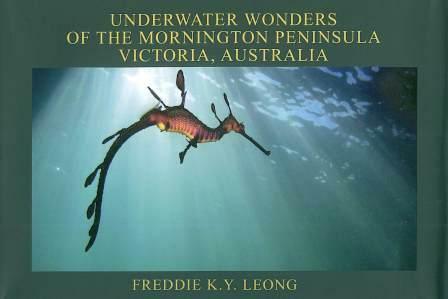 Revealing the city's best kept secret - Port Phillip Bay, an extraordinary underwater wonderland. This stunning natural-history documentary takes you on an incredible journey of discovery, revealing the city's best kept secret - Port Phillip Bay, a vibrant and dynamic marine environment. Meet charismatic marine mammals and deadly jet-powered predators - and witness one of the world's most spectacular marine migrations. Over 80% of the life here on the southern shores is found nowhere else on earth. From birds whose wings turn into fins, and fathers that give birth, to colour-blind chameleons and enchanting dragons that sparkle like jewls - it's a surprising secret that few know, until now. 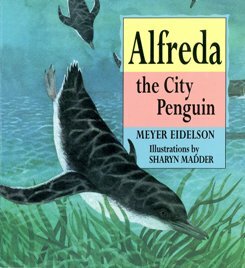 Alfreda belongs to a fairy penguin colony established in the rocky breakwater at St. Kilda Beach, a Melbourne suburb on Port Phillip Bay. One day a break in the pipeline carrying oil from multinational tankers to a nearby refinery pollutes the bay, and Alfreda and her mates are soon coated in death-dealing oil. The combined efforts of many rescuers save the lives of some of the endangered birds, but will there be a next time? The story is based on an actual oil leak in Port Phillip in 1989, foreshadowing the much greater catastrophe of the Oil Baron off the Tasmanian coast in 1995. Picture book format, ages 6 - 12. The temperate waters of Victoria provided Gaskell, Smith and Coker the perfect canvas to photograph Port Phillip Bay’s unique marine biodiversity. With anecdotal text of your favourite snorkelling break walls, piers and reefs; Beneath Our Bay provides a visual account of what you might see whilst exploring the shallow fringes. Take a journey underwater and be inspired to get your fins wet this summer! 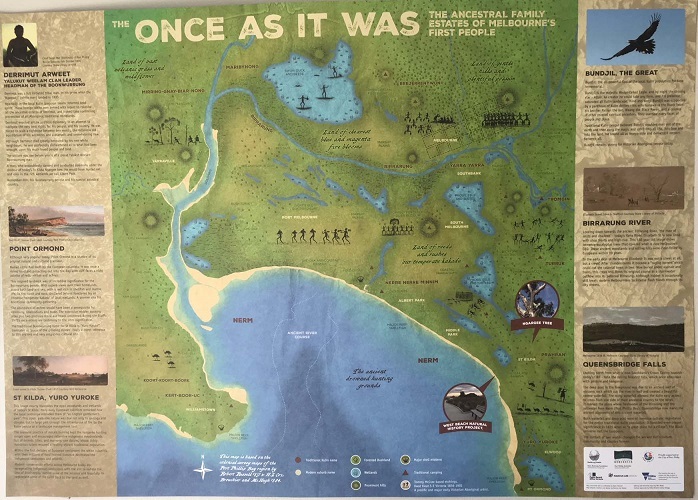 The 'Once as it was' A1 poster shows the ancestral family estates of Melbourne's First People. It features information on pre-colonial areas around the Bay, such as Birrarung River and Point Ormond, with cultural approvals by Arweet Carolyn Briggs. This map is perfect for school classrooms and offices. 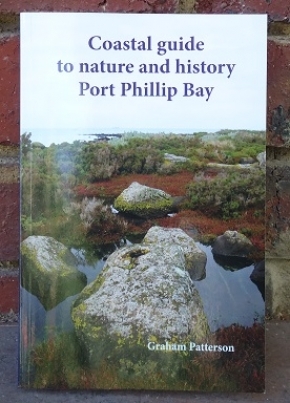 Graham Patterson has an intimate understanding and love of Port Phillip Bay and this guide brings the bay’s rich natural and cultural history to life. The book takes a journey around Port Phillip from Point Lonsdale to Point Nepean, with specific locations, maps and pictures accompanying information - making the guide easily navigable and able to be dipped in and out of. Offering historical accounts of what the shoreline used to look like 150 years ago, this book shows how geology has evolved and what people and industries have occupied the area over time. The Coastal Guide explores the fauna and supporting habitat that survives and thrives around our bay and touches on contemporary competing demands of conservation and development. Patterson's enthusiasm and knowledge shines through and will increase readers awareness of the bay’s irreplaceable natural values and the urgent need to protect them for future like and how to cook with delicious nettles without fear of being stung. This book reveals all this and more, and will forever change your concept of where to go looking for lunch. 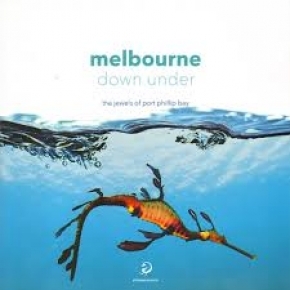 Images that highlight the pristine underwater environment of Port Phillip and Western Port Bays and the unique creatures that live in it. There are not many places in the world left that have such a large column of water still relatively unpolluted so close to a large urban populated area. "A picture paints a thousand words: if the public do not know what's under the water in our bays, it's hard to convince them that there is anything worth conserving. They would be amazed that we have such abundance of sea creatures from the very big migratory whales to the tiny seahorses and the underwater gardens of colourful sponges and soft & stony corals that are found in the two bays. I hope that the public will adopt a more positive attitude if they know that the ecology in our two bays is in such pristine condition and that they would be more proactive in conserving it for future generations." The Indigenous Plants of the Sandbelt book provides a full coverage of the natural history of the Sandbelt and the plant communities that colonized the region over the past 6,000 years. The book features full colour photos of each species and many wildlife species. 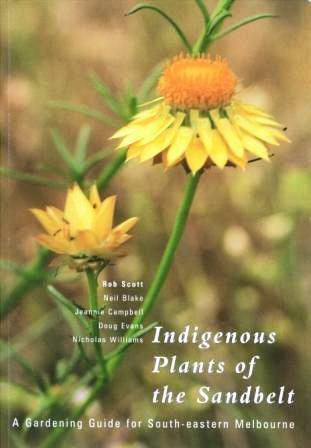 Plant descriptions include horticultural notes, flowering season, and Koori use. The book also has sections on local geology, habitat creation and contact details of indigenous plant nurseries in the Sandbelt. "This book has become my gardening bible! Now I'm gardening with nature... not against it!" Tony of Brighton. After spending several years struggling to understand marine volunteerism and the potential impact that volunteer groups can have, Ray Lewis decided to write Marine Victoria for. Volunteers as a resource for both individuals and groups. At the time of writing, the Federal Government estimated volunteers in Australia, across all fields of endeavour to contribute 700 000 000 work hours per year and this book seeks to inspire the ‘volunteers to be.’ Aimed to support volunteers as opposed to scientists, this book uses common species names for ease of reading and includes an array of wonderful images, as well as helpful instruction. 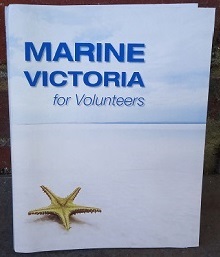 For over a century now volunteers have played key roles in the management and protection of Victoria’s coast and Marine Victoria for Volunteers supports this vital and ongoing work. 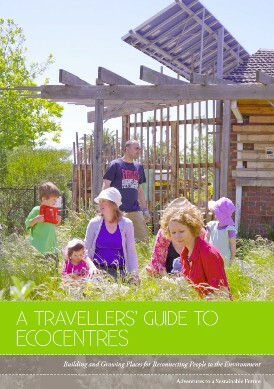 The Traveller’s Guide to EcoCentres was developed by a team of researchers, evaluators and practitioners from three established ecocentres around Melbourne, including the Port Phillip EcoCentre, CERES Community Environment Park and Iramoo Sustainable Community Centre. This unique guide includes inspirational stories, key success factors, warning signs and lessons learned to assist others in building a viable and effective ecocentre. It also includes practical tools, resources and the opportunity to look ahead at what the challenges and opportunities one might face. The Traveller’s Guide isn’t a prescriptive checklist of things one must do when setting up and developing an ecocentre, but rather a resource to help you get started, help you along your journey and a resource for you to dip into when contemplating new ideas or reflecting on your progress. An invaluable resource.